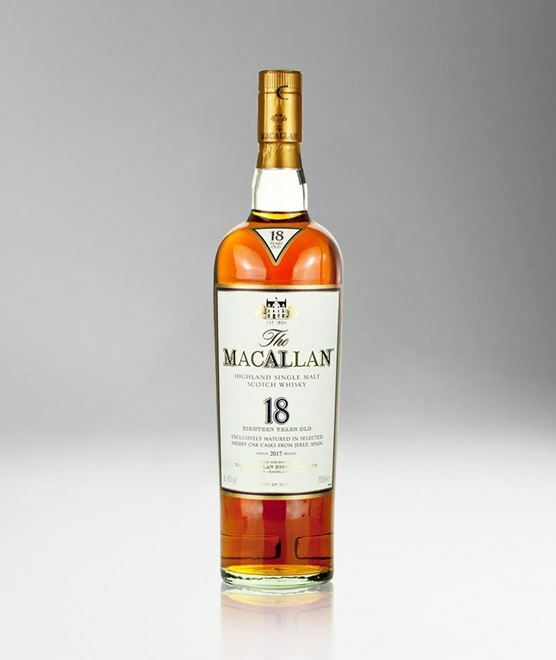 This annual release of The Macallan's popular 18 Year Old Sherry Oak is matured exclusively in sherry seasoned casks, built from both Spanish and American oak, providing a beautifully dark flavour with rich aromas. The nose opens with dried fruits, ginger and hints of citrus with vanilla and cinnamon. The palate is rich in dried fruits, spices, orange, cloves and wood smoke, before a full and lingering finish with sweet toffee, ginger and a hint of smoke.